Winning is not a EVENT in my LIFE..It's a HABIT!!! This post is very important for Search engine optimizer. So follow this post very carefully and realize these tips and tricks for web marketing and web promotion.I find this article from sitepro news. This article is not about keyword research so I will not spend too much time on this topic, however, I felt it was important to at least brush on this slightly. If you are interested in reading more, please see Keyword Research for Organic SEO. Make sure that your targets are achievable. If you select the wrong keywords, it can make your entire optimization experience essentially a waste. Choose keywords that are attainable but yet still provide a reasonable search frequency for your industry. Your phrase selection should also be targeted to bring qualified traffic to your site. Using the hotel industry as an example, targeting the word “hotel” would make very little sense but by narrowing it down to “Victoria BC hotel” you now have less competition, and a more qualified audience. Keep your targets in perspective and go after the obtainable rankings. There are many on-site factors that play a role in your search engine rankings. Here are a number of those factors and what you can do to increase your chances of success. The title tag plays one of the most important roles in search results at Google, and is almost always the heading Google chooses for each of its listings. Placement of your target phrase is best used near the start of the tag and repeated again in the middle or near the end. Three uses of your target phrase may be helpful in some instances, as long as it is not too overwhelming. For best results each page on your site should have a totally unique title tag. It is also important to remember that because Google will use this title as the main heading for your listing, you will want to keep it attractive to potential searchers. Try to also add a call to action, or other wording to help make your listing appear attractive to searchers. Strengthen Your Positions in Google! To help illustrate the fact Google takes this tag into consideration, simply do a search for your target phrase and take a look at the titles of the top 10. I tried a search for a rather broad term “hotel” and saw that all 10/10 listings had it in the title tag, and 6/10 had it as the very first word. A quick scan showed that the entire top 30 either had the word hotel, or hotels in their title tags. If you do only one thing to your website, make sure that all your title tags are relevant, unique, and contain your target phrase for each page. The Meta Description tag is still occasionally used by Google as the description which appears in the search results themselves. While this used to be a more common practice Google tends to use it most often on sites with very limited content, or those which are flash based. I have seen it still used for content rich sites, however this is less common. The Meta Description tag still has an impact on search rankings. Your best bet when using this tag is to keep it short and sweet with your target phrase close to the start and not repeated more than 3 times. Like the title tag, each page on your site should have its own unique description tag. When it comes to Google this tag is useless, and won’t influence your rankings. There is some speculation as to whether a spammy keyword tag can however, have a negative effect on Google rankings. As a result, if you do utilize a keyword Meta tag for the smaller engines, it is best to keep it clean and play it safe. Keyword density plays a role in overall rankings; however, it is not as cut and dry as it once was. Once upon a time there was a magic number that when used could almost guarantee top rankings. This is no longer the case. Today the ideal density varies from industry to industry, phrase to phrase. To find out what density you should aim for, take the top 10 or 20 search results and see what percentage those sites are using. In most cases you will find that the majority of these sites have a very similar density to one another, and this average density is a good estimation of what you should aim for. Forget Expensive PPC Advertising – There is an Alternative! The location of relevant text on your site will help establish the overall importance of your target phrase. While you do not want to overwhelm the engines and site visitors with a bombardment of target phrases at the top of the page, try to sprinkle in some instances as close to the top of the page as possible. Be sure to include various synonyms for your target phrases within your body text on your site. Google will use these synonyms to tie in the overall relevance of the page for your main target phrases, which in turn can improve your odds. To find possible synonyms you can use a thesaurus, but the best way is to search Google itself and see exactly what they consider to be similar. Simply search in Google for your target phrase preceded with a tilde, such as “~hotels”. Next scan through the search results for any text Google has bolded. These are all words that Google considers to be related. Using the “~hotels” example Google brings up phrases such as ‘travel’, ‘tourism’, ‘accommodation’, as well as various hotel chain names such as ‘Hilton Hotels’. There is still some speculation if having a target phrase as part of your top level domain (TLD) is of use to search rankings. From my experience, yes, there is value here, although, nothing like it was several years ago. If you are starting off in the online world and are contemplating which domain to go for, consider one that uses your target phrase, assuming that it is both relevant to your business name, and uses no more than a single hyphen. While multiple hyphens in a domain can be successful, they are very common with highly spammy websites, so it is best to not take that route if possible. While having a keyword located within your domain can provide some ranking juice, I would not suggest heading out and doing a domain swap. In most cases you would be better off working on your existing site than starting from scratch with a new domain. Placement of target phrases within heading tags helps to establish the importance of those given phrases. That said do not over do it, or abuse it. Only place target phrases within a heading tag if it makes sense to do so, and don’t flood a page with numerous tags. Heading tags are not as critical as they once were, but still a good contribution to a well optimized page. This is the actual text you clíck on as part of a link. When full or partial target phrases are used within your text links they help pass on some value to the linked page for those phrases. This is also true when considering surrounding text. When the content around the link is also relevant, the link holds slightly more value. While a link that simply states “clíck here” or “www.domainname.com” does have its place, they provide considerably less value than a link that would use “discount hotels” as its anchor. While image alt text still plays a minor role, its biggest part is within the use of image based navigation. If you have an image linked to another page, the alt text will be attributed much the same way as standard link anchor text is. Image Alt text should always be short and to the point and should accurately describe either the image itself, or the page the image is linking to. Do not use alt tags as a place to stuff keywords. These are links that are found mid sentence or mid paragraph as opposed to a simple listing of links as found in a menu or possibly on a sitemap. Links found mid paragraph tend to pass on a little more value from the surrounding text and can provide more relevance to the linked page. It is absolutely imperative that your website be fully spiderable by the search engines. 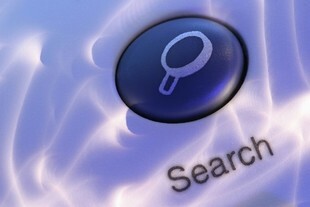 This may seem obvious, but often webmasters overlook Google’s ability to crawl a website. Google has become very advanced in what links it can follow and how it can spider a website, but there are still some things that can cause significant roadblocks. – Flash: One of the most commonly made mistakes is the use of flash. If flash is used as a sole means of site navigation then you can count on Google not viewing your internal pages, and having a significant disadvantage in terms of site rankings. – Java Script / DHTML: These days most Java Script and even DHTML menus can be spidered by Google, however, this is not always the case. If your site utilizes any kind of fancy navigation and you are wondering why Google has not indexed your internal pages, check out Google’s Cached Text version of your page. If you do not see any text links, then your navigation may be invisible to Google. – Images: Image based navigation has been safe for many years now, but if your site uses this form of navigation it is essential to have brief, relevant alt text on all your buttons. This alt text will act much like standard anchor text for text based links. This is not only for the purpose of search ranking value, but take a look at Google’s cached text version of your page. If you have image based links that do not have alt text, those links do not appear. This doesn’t mean Google won’t follow them, but for anyone viewing your site on a text based browser, your links will be invisible to them. Avoid long elaborate URL’s with extraneous characters. While Google has reached a point where they can index massive URL strings, it is best to avoid them if at all possible. For dynamic sites consider utilizing mod rewrites to significantly clean up the URL to not only make it more search engine friendly, but more user friendly as well. Posted on May 8, 2008, in SEO, Technology and tagged Optimize for Google Search Engine, SEO, seo tips, seo updates. Bookmark the permalink. 1 Comment.